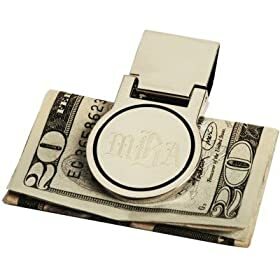 This silver plated round money clip is slim enough to fit inside any pocket and is designed for easy money access. Have a monogram or name engraved on the money clip for a special touch. Please contact us via email after placing your order to give us the engraving details. Sometimes the text you want engraved is available through Amazon’s gift options at the time when you place an order.